You, a veritable “Genius,” drive on the shoulder of the highway. Everyone else, AKA “morons,” sits in traffic, clearly too dumb to follow your brilliant plan. Until karma and the law blow up in your big stupid genius face. Is it wrong to derive a little pleasure for witnessing instant justice? Perhaps, but I’m not ashamed to admit that I like it anyway. 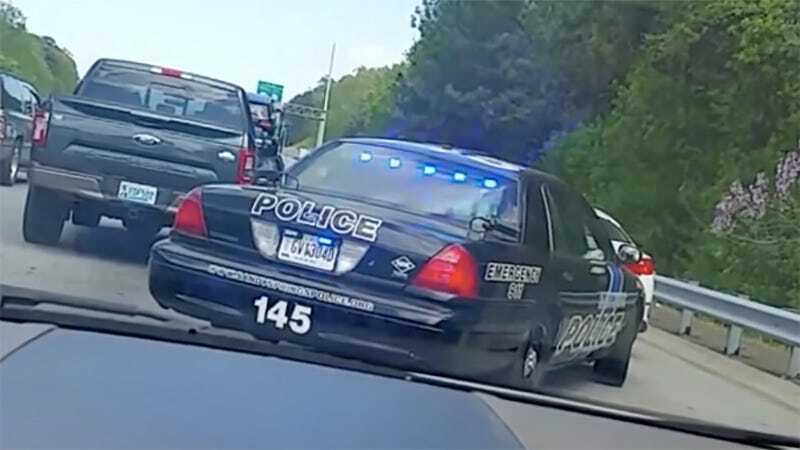 YouTuber Matt Bentkowski appears to have the appropriate reaction to seeing a badly-behaving Kia get busted immediately for passing in the breakdown lane somewhere near Sandy Springs, Georgia. For the record, you probably (definitely) shouldn’t film and drive either.